Yesterday, Daddy-dog's work (FL DOT Palm Beach Operations Center) hosted a day for kids which started with a pancake breakfast and continued with meeting a "real life" crash-test dummy as well as meeting representatives from the Palm Beach County Sheriff's Office. The PBSO representatives were from the K-9 Unit and the Mounted/Animal Cruelty Investigations Unit. Yep, we think it was a pawesome day to be at Daddy-dog's work! We don't know why we weren't invited to join the fun. We are thankful that these brave people and animals protect and serve our neighborhoods every day. 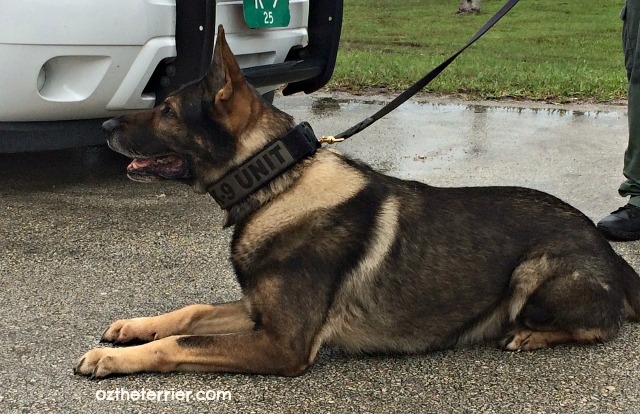 Have you ever met a K-9 or Mounted officer? Momma got to meet da K9s dat came to her school. We used to have a retired K9 and he was such a fantastic dog. We have seen mounted police in New York City. Wow, Mom and I never saw police horses and dogs. I wish Mom and I had done volunteer work there, too, it sounds really interesting! Ooooohhhhh, that police puppy is sooooooo handsome! So fun! My obedience school teacher is a K-9 police officer. His K-9 doggie helped him demonstrate some things for us. She was so good and so smart! And she helped us a lot. Dang, we weren't invited either! Looks like fun. 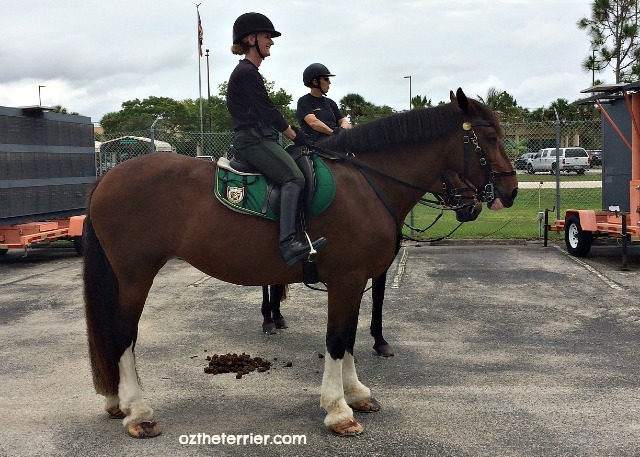 Yes, I've met K9 many times (a perk worth my job) but never a mounted unit. That would be awesome! We don't have those here. What a super day that must of been. It sounds like Daddy-Dog has a great job! !